It’s not often that we get a chance to look back and marvel at the ripple effect a research project can have. Almost seven years ago, Genome Atlantic launched IGNITE, a three-year research project focused on helping those with orphan diseases. Orphan diseases are rare genetic disorders that, individually, affect small numbers of the population, but, collectively, affect three million Canadians, often with debilitating symptoms and costly treatments. “One in fifteen babies is born with an orphan disease,” explains Dr. Chris McMaster, who is head of pharmacology at Dalhousie University. McMaster, along with Dalhousie’s Dr. Conrad Fernandez, co-led the $4.8M IGNITE project which was funded under one of Genome Canada’s Large-Scale Applied Research Project (LSARP) Competitions. 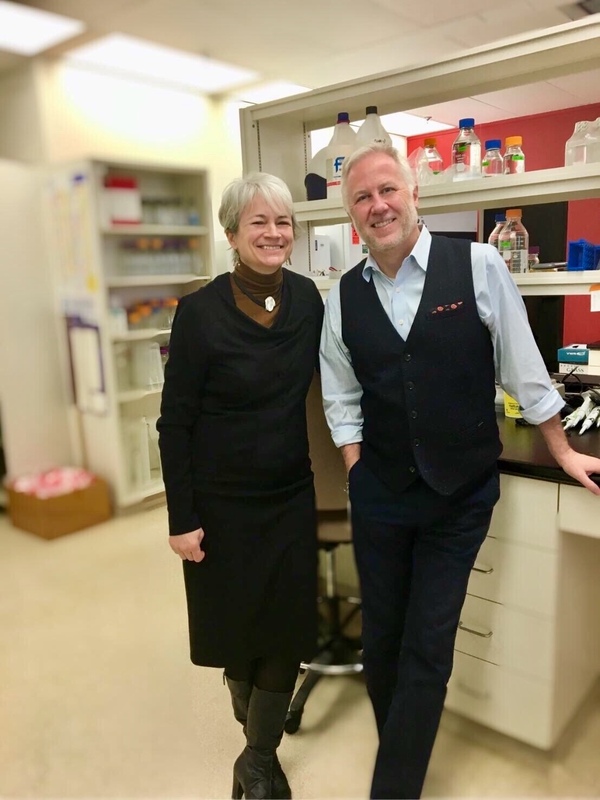 “About 95 per cent have no cure, so there is a significant need to improve our understanding, diagnosis and treatment of orphan diseases,” says McMaster. IGNITE led to the discovery of multiple disease-causing genes. It served as a funnel to help researchers determine which genes were clinically actionable. But most importantly, it fostered the spirit of collaboration and the ability to unite basic science and medicine. “IGNITE put us – the IWK Health Centre and Dalhousie University – on the map as leaders in orphan disease research,” says McMaster, whose team is part of a national collaboration with the Children’s Hospital of Eastern Ontario/University of Ottawa and the Centre Hospitalier Universitaire Sainte–Justine/Université de Montréal to advance gene and drug discovery research. This collaboration is funded by a $21 million Canadian Foundation for Innovation (CFI) grant. Prior to IGNITE, genomics health research was conducted in labs and offices scattered across Atlantic Canada. IGNITE brought the experts together. “There were no silos; we were all part of an active network doing orphan disease research,” says Dr. Johane Robitaille, MD, a pediatric ophthalmologist and specialist in familial exudative vitreoretinopathy (FEVR), an orphan disease that causes childhood blindness. In fact, the research done on FEVR, inherited Parkinson’s disease, and muscular dystrophies had such clinical potential, the team wanted to continue even after the IGNITE project wrapped up. They applied for and won an additional $5.3 million to work towards finding new treatments and becoming a top site in Canada for orphan drug development. The funding came from Atlantic Canada Opportunities Agency ($3 million), AGADA Biosciences ($1.5 million) and the Canadian Institutes of Health Research ($800,000). As part of Dalhousie University’s Genomics in Medicine research super group, CGEM has access to powerful genomic sequencing technologies and a world class zebrafish facility. The Centre’s research specializes in genetic disease diagnosis and drug development, the medical microbiome, and cancer diagnosis and treatment. CGEM also has a concentration of legal scholars and bioethicists who ensure the responsible development and delivery of genomics-based interventions to our health care systems. With such a large number of overlapping experts and resources, CGEM is quickly becoming a leading site for clinical trials in orphan diseases. Few places have the ideal conditions for genetic research provided by Atlantic Canada. “There’s a founder effect in Maritime Canada,” explains Robitaille, which means much of the current population descends from a small group of early founders. 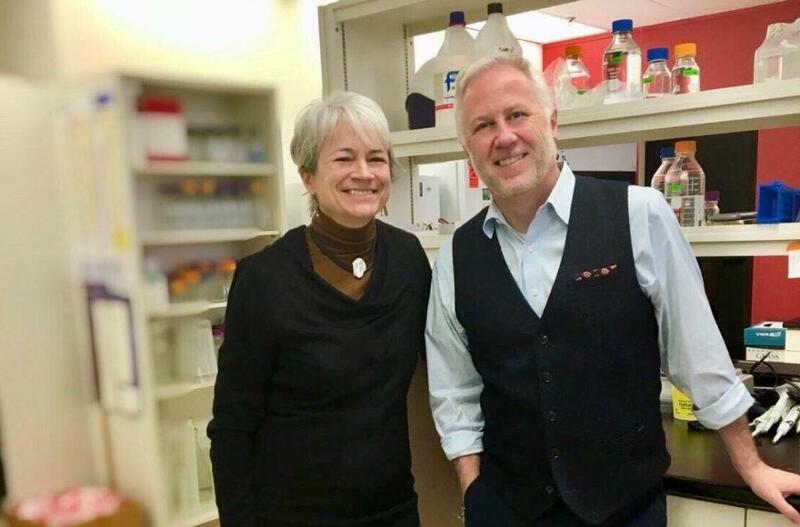 “While we have a higher prevalence of certain orphan diseases – like Fabry – it also means Maritimers will be the first to benefit as new therapies are developed here.” CGEM researchers are currently recruiting patients for a gene therapy clinical trial for people with Fabry, an orphan disease that damages the heart, kidneys and nervous system. The ripple effect of IGNITE is particularly evident when you look at CGEM’s pioneering research into genes that cause FEVR and the development of a treatment to bypass this genetic impairment. The multidisciplinary team of basic scientists, working alongside clinicians in the local hospitals, recognize the direct impact their research has on patients. “Confirming a diagnosis provided answers for our families, and at the same time, we wanted to keep going to find a cure,” says Robitaille. preclinical tests have shown their drug candidate to be effective in curing FEVR in a mouse model of the disease. Later this year, the researchers will publish a study on the FEVR genes discovered. With CGEM’s therapeutic arm moving research forward at a staggering pace, McMaster believes his team will have a FEVR drug ready for human trials within the next two years. “We see a spin-off company forming to work with the FDA, test the drug in clinical trials, and move the treatment to the market,” he says. Today, facilitating research collaborations continues to be a strategic priority for Genome Atlantic. IGNITE laid the foundation for CGEM to form a top genomic research network and become one of the best clinical sites in the world for orphan drug discovery and development. It is only through continued collaboration that the power of clinical genetics will be unlocked to transform patient diagnosis and care.